This morning we had Baobao in for his assessment. He is a sprightly, ten year old, nineteen pound, Silky Terrier... Who doesn't look or act a day over five lol! Baobao tried The Fort's Little Roll on for size today. Up there, he did pretty well for a first day. As the Little Roll pack grew in size, Baobao, became seemingly more comfortable. It's clear that he has socialized with other dogs before, because he speaks good "Dog" and is non-reactive, even around in-your-face-pups like Miguel haha. Although not a huge "player", Baobao did meander round the play area, and enjoyed the company of the other canines. 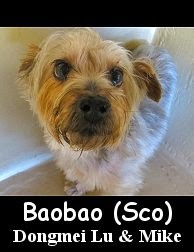 All in all, Baobao is welcome to comeback to Fort Fido. Some News and a Clip! Today was a great day here at The Fort. Here is one of the clips we got from the big roll. This clip features Lucy the German Shepherd, Oliver the Bernese Mountain Dog/English Crème-colored Golden Retriever Mix and Tucker the Doberman. This years World's Ugliest Dog winner was "Peanut", a rescue dog from Greenville, NC. This 10 year old girl from Chicago was reunited with her 3 year old service dog name SymPhany. Read more here. 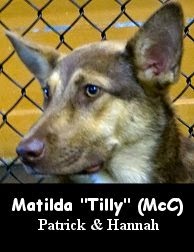 Feast your eyes on Matilda (Tilly). She is a sharp looking, ten month old, forty-five pound, Australian Kelpie. Tilly followed us to the Medium Roll, where we thought she would fit in best. Once inside the play area, she sniffed around and seemed up for anything. As pack members arrived and entered the play area, Tilly's eyes lit up! She thoroughly enjoyed meeting and greeting with the different canines that arrived. For a young dog, Tilly communicates quite well, and it's clear that she has been around a dog or two in her day. Tilly would wag her tail excitedly with every sniff of dog, jaunting around each individual happily, while getting to know them. Later in the morning, Tilly began to play rigorously. 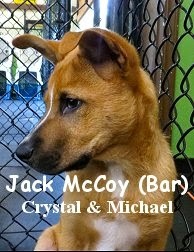 She had a great time with puppy-Jack, among others, and continued to socialize vigorously throughout her visit. Tilly is most welcome to attend The Fort. Swell job today girl! The Pack can't wait to meet with you again. In the following clip, Tilly, is found having some fun with Jack McCoy. This morning we had Ziva in for her assessment. She is a kindly, five year old, seventy-five pound, Black Labrador Retriever Mixed Breed. Ziva just so happens to be good friends with Fort Fido regular Brix... Knowing that ahead of time, we were excited to meet Ziva, understanding that if her and "good egg" Brix get along outside of The Fort, she should do awesome here. Awesome, is truly how she did. Entering our lobby curiously, Ziva was brisked away to the Big Roll. After getting her bearings there, we introduced her to a few pack members. 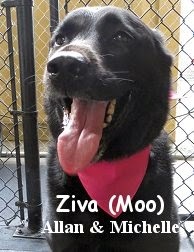 Ziva speaks great "Dog", allowing her to get along with our pack quickly and easily. With no problems at all, it was almost as if she'd been here times before. As the morning progressed and more dogs filled the play area, Ziva continued to stay happy and active, playing and socializing wholeheartedly. 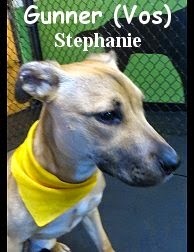 We plan to see her soon for Overnight Boarding, we're almost positive she'll do great. Good work today Ziva, welcome! Here are two clips of Ziva hammin' it up with young canine Cooper. Recently found around the world wide web. LOL! Thanks to Rainier for that one. This next one was on YouTube's Most Viewed for a few days this last weekend. Checkout, 5 awesome dog facts. Today the Fort Fido crew got the chance to assess the good-looking-livewire, Jack McCoy. Jack is a fun, three month old, twenty-four pound, Boxer and GSD Mix. Jack was escorted to the Medium Roll, where he would spend his day with dogs of a similar size and play-style. Although he had a bit of trepidation at first, about being "alone", Jack did fine, his separation anxiety easing, as soon as other dogs arrived. Jack is a smart young pup that enjoys the company of other canines, with Mac and Max being his favorite new dog-pals today. Jack is learning how to socialize properly and play fair... So far so good, he is well on his way to becoming a healthy and well rounded adult canine. Because he is quite excitable and cute, Jack requires strong leadership and routine to be at his best. Lucky for him, his owners want to, and are, doing right by him. He is most welcome to The Fort, and we hope that he continues to thrive here. Puppies can get a lot out of Dog Daycare, especially given time and consistency. Well done today Jack, see ya around! Here is a tiny little taste of "Jack McCoy" in action this morning. The 26th Annual World's Ugliest Dog Contest, is being held today in Petaluma, California. “The annual World’s Ugliest Dog Contest is not about making fun of ugly dogs, but having fun with some wonderful characters and showing the world that these dogs are really beautiful.” Check out the contesants. Here is a great clip from the big roll of Teddy the Black Lab Mix and Logan the boxer. Over in the medium roll we have Lucy and Max the Multigen, Labradoodles. If you somehow haven't, you absolutely must checkout The Point Defiance Park. I've lived around these parts for my whole life, so the park has been a staple for me over the years. I've always visited it, never living too far away from it... So at times I think I've taken it for granted, forgetting just how much rich history it has, and just how awesome and beautiful it truly is. From open fields, breath taking views, and beach access, to historic forts and wooded picnic areas, Point Defiance has it all. Of course, I am particularly fond of the "5 Mile Drive" and the off-leash dog park. 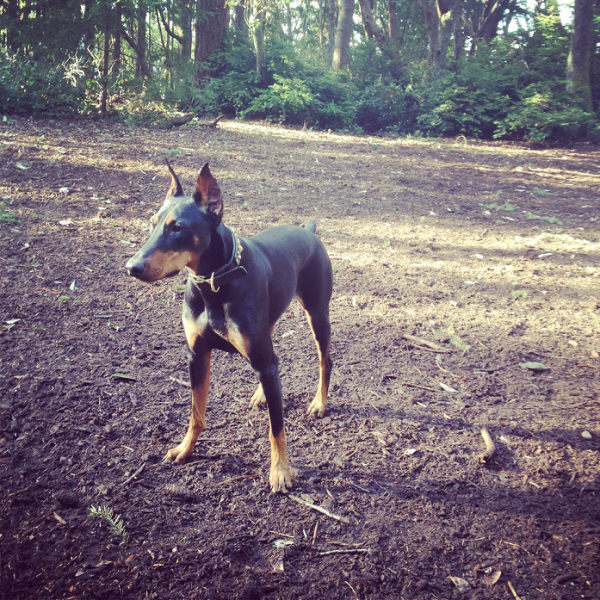 Finding the dog park that is nestled inside the heart of Point Defiance Park isn't too hard. Start from the park entrance at the end of Pearl Street, and follow the signs for five mile drive. If you like to jog, walk, or bike with your pooch, hit the park up on a Sunday before 10:00 A.M. The scenic five mile loop, paved amongst old growth forests, is closed off to car traffic at that time. Continue to follow the signs for five mile drive, past the backside of the zoo, Rustic Picnic Area, and the gorgeous Rhododendron Species Garden. As the drive loops around, you'll quickly see clear signage to the off-leash dog park area. Passing The Fort Nisqually Living History Museum, you are almost to the doggy fun! Look out for the dog park (rather, parked cars) which will be on your right as you come down a steep hill. Parking is the only tricky part about this awesome spot, good luck with that lol. Also, be sure to keep your wits about you when driving through the park, there are several turns, twists and trails, with pedestrians poking out all over. The entrance to the dog park, and "most" of the park itself is fully gated. There is a small "little dog area" near the entrance, but most folks and canines seem to congregate near the center of the main dog park, in the sunny clearing. This dog park at Point Defiance has really grown on me over the last couple of months, Gibson and I have been visiting it weekly. Although small compared to others, the beauty of it can't be compared. Gibson must feel like a real "wolf pack member", as I let him gallivant through the woods lol. He really enjoys time spent at this dog park and I do too. Even if we show up at a moment when there isn't any other canines, it's still great. It is about as peaceful and tranquil as a dog park can get.... Panoramically gorgeous, that's how I'll describe it haha. A few things to note about this dog park, you defiantly want to keep an eye on your pooch more than usual... Only because there are trails that connect through the dog park, so essentially, your dog could wonder off on you if you aren't mindful. It's also easy to lose them among the salal lol! This park is covered in wood chips which I think makes for a great year-round turf. Although it can get muddy at times, it ends up being quite a nice play surface, even if poo becomes camouflaged in it haha. There are a few bag stations located throughout the park, and there is a covered area which is pretty nice on those stormy NW days. Communal dog water can be quite nasty at certain dog parks, at Point Defiance it's not bad. People seem to continuously flush out the water bowls in an attempt to keep things clean. One of my friends used to work for Metro Parks, he built the rain barrel/dog watering station that is attached to the covered area. It's most rad, nice work Dane old buddy! Volunteers and or Good Samaritans monitor the park regularly, cleaning water bowls, refilling bag stations, and other tasks. They also act as "duties" a bit, reminding me of my old elementary play ground days lol... Luckily for me, Gibby, doesn't get into any donnybrooks. He's most certainly no angel, but since he works with me here at The Fort everyday, and has since puppyhood, he's a "professional socializer". Him and I stay clear of any dog park-drama and keep our beaks shut lol. 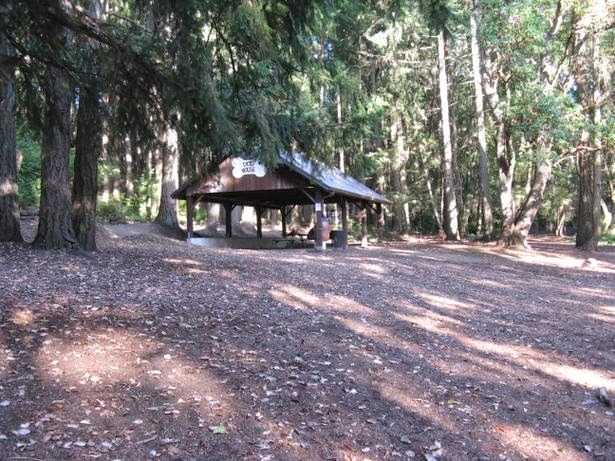 All in all, the Point Defiance Park and Dog Park is a real treat for us "Narrows Peeps". I'm very thankful that it's around for our canine companions to use. It is a wonderful place for them to exert some energy and make new dog friends. It's also a great place for us to unwind a bit in nature, on a late morning or early afternoon. Go check it out soon and have some fun with you and yours! P.S. One last note, the Antique Sandwich Company, at 51st and Pearl, is a wonderful time honored little spot that is great for coffee, breakfast, or lunch. I particularly love their whole-wheat waffle, with "real syrup" that is served on the weekends. This family friendly joint, is sweet to duck into before or after the park. 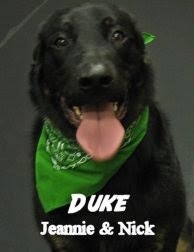 Last night we received the unfortunate news that our long time canine-pal, Duke, passed away... He had been struggling with his health off and on for the last couple of years. Our thoughts, and deepest apologies, go out to his great owners for their loss. Duke was lucky to have Jeannie and Nick. They always did right by Duke, taking tremendously good care of him, over the course of his happy life. Some find the Rainbow Bridge Poem helpful during pet loss and it's grieving process. It certainly means well, regardless of your beliefs. I consider it a classic poem, check it out if you never have. In other news, to lift the mood a bit, early this morning Tacoma Firefighters rescued two puppies from an apartment fire. Lucky dogs! Way to go! Here is some footage of the rescuers arriving on the scene. P.S. Go USA! We play Ghana for our first match of the World Cup, today at 3:00 PM! Check out this video of "Purin the Super Beagle" playing soccer. If she keeps this up she'll be playing in the FIFA World Cup next year. Her name is Purin the Super Beagle (Purin means "Pudding" in English). Here's a clip of Hailey the Portuguese Water Dog and Gunner the Husky Mix, tearing it up in the medium roll. Today we assessed the fun-loving Kona here at The Fort. 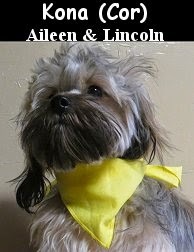 He is a curious, ten month old, eleven pound, Shih Tzu and Miniature Dachshund Mix. After entering the Little Roll solo, Kona quickly explored his new found territory. With his nose to the ground and his tail wagging excitedly, he checked out our play-toys and all four corners of the play area. Kona was quite intrigued to meet other canines. Once they arrived on the scene, Kona greeted them, communicating fairly well for a young canine, albeit rambunctiously lol... Because he is an adolescent dog, Kona, is still learning how to meet, greet, and communicate properly. As the little-dog-pack grew in size, Kona bounced and fluttered from dog to dog, attempting to engage in play. Although he never did end up doing much one on one play, he did burn off some energy by socializing a lot. Kona is welcome to attend Fort Fido. We believe he will become even more comfortable here, and possibly engage in that dyadic (one on one) play, in a future visit. Good work this morning Kona! Meet Tazley! 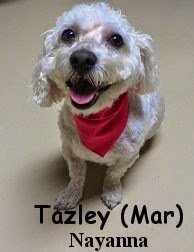 She is a super-sweet, seven year old, fifteen pound, Miniature Poodle Mix. Tazley showed up to The Fort this morning, bright-eyed and bushy-tailed. She was calm and confident as we headed upstairs to the Little Roll. After a few minutes alone in the play area, Tazley was introduced to a couple of our finest canine buddies. She spoke good "Dog" with them, meeting and greeting in a healthy manner. Tazley seemed to become more comfortable and pleased as the pack grew. She would happily wag her tail towards each dog that entered, and acted as if she'd been a part of the group forever. When it came to play, unfortunately we didn't see much of it out of Tazley, however, we won't be surprised if that changes in future visits. Nice job today Tazley, welcome to Fort Fido, we hope to see you again. This morning we assessed the enthusiastic Gunner. 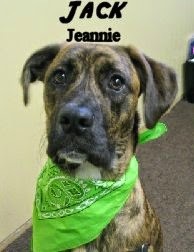 He is a ten month old, forty-two pound, Husky, maybe Ridgeback (our guess), Mixed Breed. Gunner stayed with us in The Fort's Medium Roll, and fit in nicely with the other dogs right away. He met up with Logan first thing, and the two hit it off incredibly well. Gunner is a smart young canine, that is all about having a good time, and socializing whole-heartedly with the pack... He's certainly our kind of dog. Good on ya today Gunner, you're welcome to stay at Fort Fido anytime. Here are three awesome clips of Gunner gunnin' it! Today I thought I'd post some great photos that have been taken around Fort Fido recently, a couple by David, and a few by Zach. Bess looking prim and proper. Bounce cheesin it for the camera. Nancy and Kirby are buds. Her and Rusty are too, believe it or not haha. Summer loves to be goofy, this is her in a nutshell. In other happenings, here are some Dog Related YouTube videos that I have found and enjoyed lately... Hopefully you'll get a kick out of them as well! We got some great clips from the big roll today. In the first clip Gertrude the Bernese Mountain Dog is tearing it up with Oliver the Bernese Mountain Dog/English Crème-colored Golden Retriever Mix. This next clip also features Oliver, this time he is playing with Theodore the Great Dane. Roll that beautiful "dog" footage! Is letting your dog kiss you safe? A brief history of people who have actually been elected "dog catcher"
Molly and Tucker with hard-playin fun from the Big Roll. In the Medium Roll, Georgie, spent the whole morning "video bombing" Zach hahaha! Not to be outdone, the Little Roll showed off its daily cuteness with style. There were lots of good looking little canines upstairs today, and my how Candy loves our play toy lol. Holy smokes! Get a load of this big fella, Mitis. 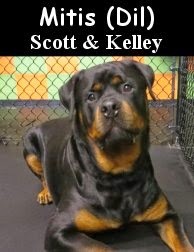 He is a strong, two year old, one hundred and thirty pound, Rottweiler. We assessed Mr. Mitis this morning in the Big Roll, obviously, lol... Once inside, Mitis was quite curious about his news surroundings. He greeted pack members in a healthy manner, and spoke decent "dog". Mitis even played a little bit with Reilly and Stasha. We would like to see Mitis on a regular basis, so that he could become even more comfortable here, and hone his social skills. We believe Mitis can get a lot out of Dog Daycare and Overnight Boarding at The Fort.